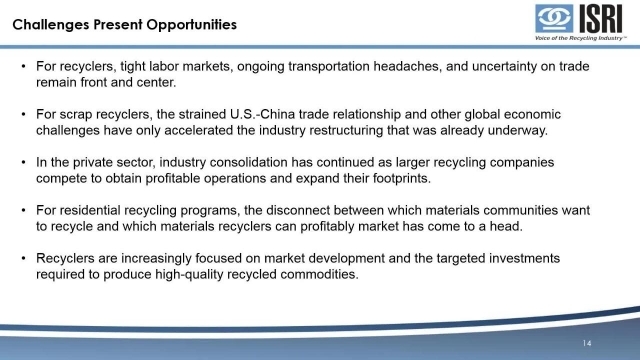 Webinar: 2019 Market Forecast - Institute of Scrap Recycling Industries Inc.
ISRI Chief Economist & Director of Commodities Joe Pickard, along with ISRI Research Analyst Bernie Lee discuss the market forecast for 2019 covering each of the major commodities. Member-Only Content. Log In to Watch.